Hope all is well in your world… here’s an update from mine! 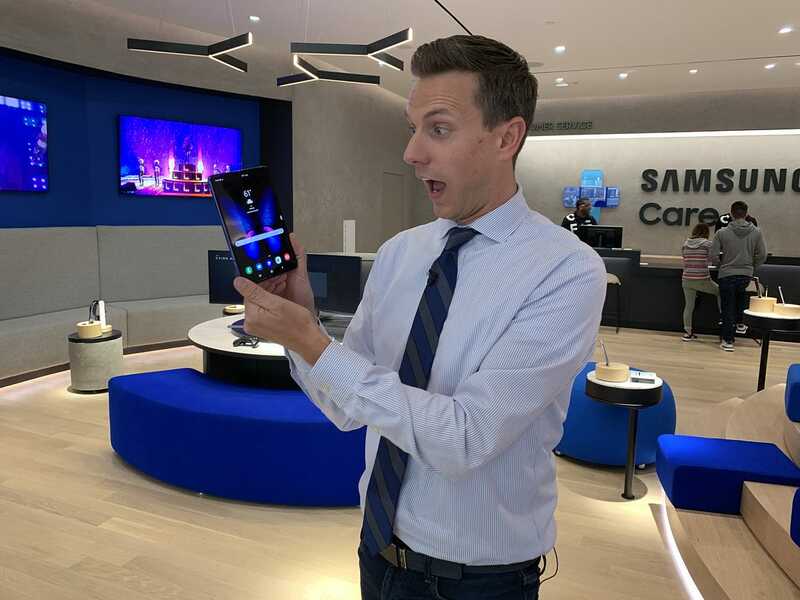 Probably the biggest news is the reports of failures surrounding the new Samsung Galaxy Fold smartphone. We have to take them with a grain of salt, at least for now, since in 2 of the 4 cases, the tech reviewers peeled off a critical part of the screen they thought was a screen protector. Spoiler alert: it wasn’t. While Samsung did not provide me with a review unit, I did get some hands on time with the device. It’s quite impressive for a first gen product and I can see the appeal of having a phone that opens up to a big screen. I just look forward to the day when they can fit it all into the form factor of your typical phone. The Fold launches April 26 for $1,980. You can watch my TV report here, or see my more detailed hands on below. I was very excited to test out T-Mobile’s new TV service called TVision. There is a lot of potential here, but it’s not geared towards cord-cutters. The service costs $100 a month and includes all the channels you can imagine, plus a giant DVR and personalized suggestions for what to watch at any given time. TVision is available now in LA, New York, Chicago and a handful of other cities. You can read my full review of TVision here or watch my thorough hands on below. I shared a tip this week that is super helpful for parents handing over their iPhone to their kids to watch videos. A lot of the time, little kids hand it after a few minutes because they’ve mistakenly exited the app or pressed a button on screen by mistake. The solution: turn on a feature called Guided Access to restrict them to a single app. They can’t exit the app unless you enter in your special parental passcode or use Face ID. You can even disable the ability to tap specific on screen features like Netflix’s profile picker or YouTube settings. To find it, go into Settings > General > Accessibility > Guided Access. We did a segment this week on a unique place in Irvine, California that lets kids create their own story books. My 7-year old is really into writing his own books right now. The place is called Storymakery, and it’s pretty cool. Kids can create their own character, storyline and have a real, printed book in a matter of minutes. They also do birthday parties. Everlance, Meteor, Scannable, Clarity Money and more. If you’ve followed me for a bit, you’ve probably heard me talk about some of these apps before. I’ve put all of my current favorites into a list. Check it out and see if there’s something you like. I’ve got solutions for photo scanning, mileage tracking, meditation, money management, internet speed tests, private web browsing and more! Both Google and Amazon announced this week that they are giving users of their smart speakers free music! Sure, you might hear some ads and you can’t necessarily play specific songs, but you can listen gratis! If you’ve selected another music service in your Alexa or Google Home app, you might have to switch them over to Amazon Music or YouTube Music for the free music to work. BTW, YouTube Music is my favorite music streaming app right now, it has some excellent playlists. This week’s podcast features more of your tech questions, answered. 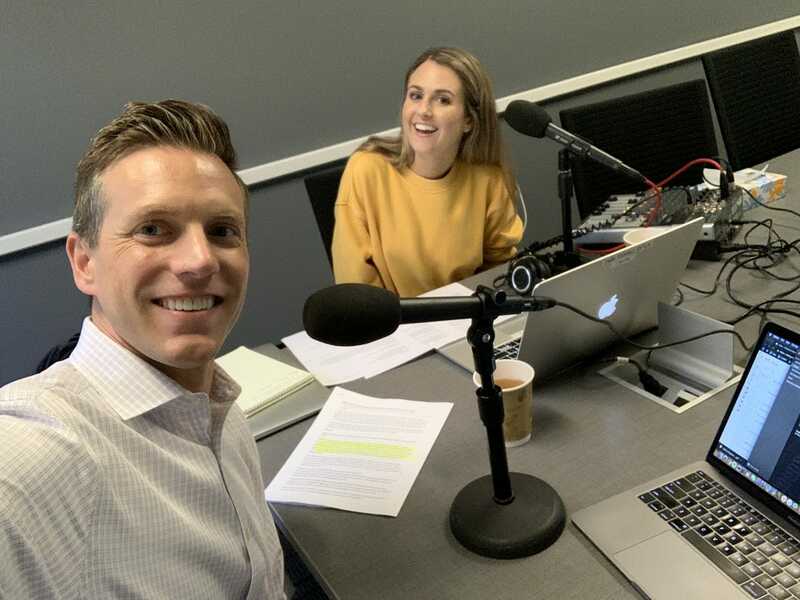 Join Producer Meghan and I for discussions on the week’s tech news including how Amazon and Google have ended their long standing feud, which works out in your favor. You’ll soon get official apps for YouTube, YouTube TV and YouTube Kids on Fire TV devices, and Amazon Prime Video will soon get Chromecast support. Take a listen, and be sure to subscribe for a new episode each week. It’s always a treat to head up to Petaluma, California and fill in for Leo Laporte. 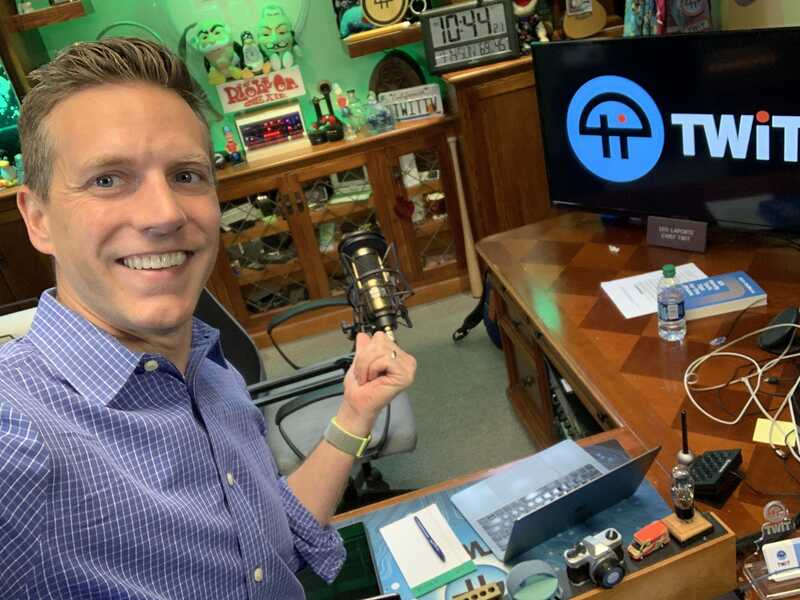 His “Tech Guy” radio show is syndicated to stations all across America, and it’s fun to take live calls on a variety of tech topics. Leo is a legend and if you ever told younger me I would be filling in for him in the future, I wouldn’t have believed it. You can listen to the episodes I hosted Saturday and Sunday. 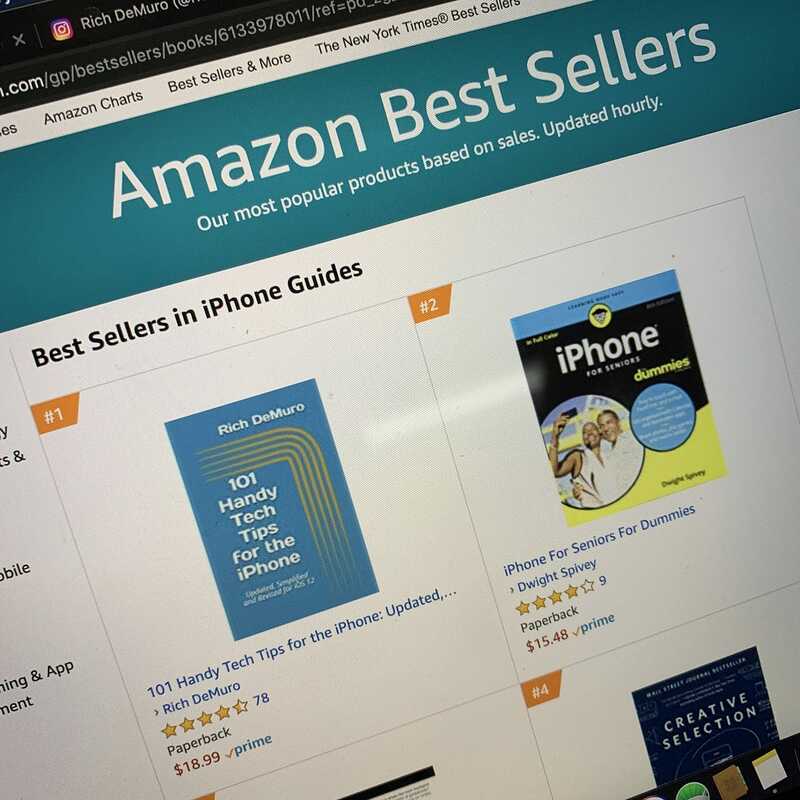 Thanks to my radio appearance for Leo, my book, 101 Handy Tech Tips for the iPhone, is back on top of the Amazon bestsellers list. If you’ve already gotten a copy of the paperback, many thanks to you! If not, consider gifting it to a friend who needs help with their iPhone. That about wraps it up for this week. Have a fantastic weekend! P.S. If you found this newsletter helpful, forward it to a friend. If you no longer want to get them, look for the unsubscribe link at the bottom - no hard feelings! You can find me on Instagram, Facebook, Twitter and my Podcast.